Andrew: It's such a pleasure to have Patty McCarthy Metcalf, MS, Executive Director of Faces and Voices of Recovery on the phone with me today. Patty's professional experience covers the spectrum of prevention, treatment and recovery. She's worked in substance abuse prevention. She's worked with the Vermont Department of Health as a child and family clinician, with a community based mental health center there, and she holds a master’s degree in community counselling and a bachelor's in business administration. Thank you so much Patty, for joining us at Serene Scene Magazine today. Patty: Well, thank you Andrew. It's great to be talking with you today. Andrew: You have a very diverse experience behind you. So let me ask you what has led you to your Executive Directorship at Faces and Voices? Patty: My career started really in helping people, mostly children and families when I was a clinician. And at the same time I was also a woman in long term recovery and so my experience personally was that I was working in my own recovery program. And met many other people that were working in the field of substance use disorders and addiction treatment. And so I was able to combine my personal experience with this work. And I have years of working in community based programs and eventually found myself as the executive director of a non-profit recovery community organization for ten years. And so I really kind of worked my way up to this role as Executive Director of Faces and Voices of Recovery. Andrew: So you started off, as so many in the field, as a substance abuser yourself. Patty: That's right. I'm a person in long term recovery, which for me means I haven't used alcohol or drugs in over 26 years now, and if I had not found recovery, I would not be the mother, grandmother, wife that I am today, and it has certainly given me lots of doors and opportunities. Andrew: Well, I'm curious as to your path to recovery. It's very long term, congratulations. How did you find recovery? Patty: Well, I was really introduced to treatment and recovery when I was a teenager. So I was an adolescent, I was in high school and went to residential treatment three times before I graduated from high school. And then it was six years later when I was a senior in college that I finally kind of hit my bottom and reached out for help and did not go back to treatment but immersed myself in a 12 step fellowship for recovery. And my life completely changed when I became involved and worked on my own recovery program. Andrew: What is it do you think that changed inside your thinking or maybe perhaps your awareness that caused you to get serious about your recovery? Patty: Well, I think I was one of those people that had a natural resiliency and ability to see that my life had more purpose than the way I was living. And so I was already in college, I knew that I had goals in my life. My drug and alcohol use was interfering with those goals, and I had a very supportive family and just began working seriously towards my recovery at the right time. And it's been an amazing process of change over the years. But really it was those first few years that were the most important and set the tone for the rest of my recovery was starting to get involved with things in the community, giving back, continuing my education, starting a family. And those things that I didn't have hope for when I was actively using. Andrew: Well, see, now I understand how you work into the Friends of Recovery in Vermont. Mobilizing community and peer based recovery support services there and peer work force development. Tell me a little more about Friends of Recovery. What a wonderful organization. Patty: Yes, well Friends and Recovery started in 1998. 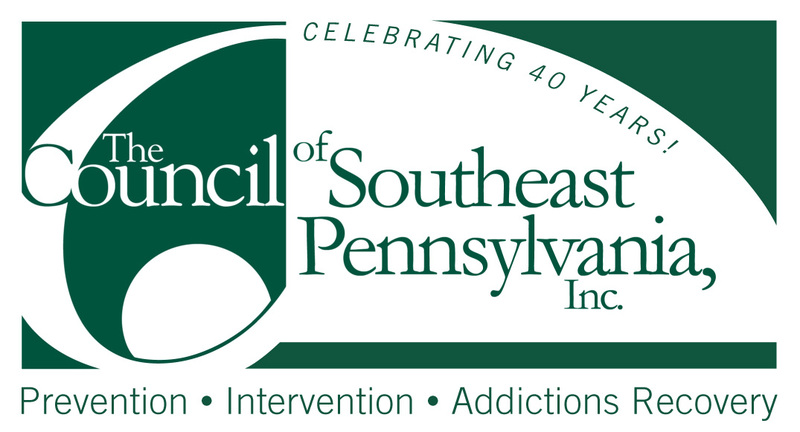 It was an opportunity because of federal funding from SAMHSA, the Substance Abuse and Mental Health Services Administration started a grant program called Recovery Community Services Program (RCSP). And so we were fortunate in Vermont to receive a grant to start a recovery community organization that our focus was on mobilizing and educating. Educating the public, educating people in recovery, people who are struggling, educating family members and educating the legislature about issues that were impacting people with addiction. But also, those that are in recovery and all of the barriers that they face with a history of alcohol or drug addiction. Andrew: With regard to the peer-based recovery support services, I'm interested to know more about how that works. Patty: Well this is an emerging growing field of peer-based recovery support services. They're recovery support services delivered by people who've lived experience of addiction and most importantly, lived experience of recovery. And so we have a lot to offer in terms of helping people walk through some of those challenges and develop their own recovery plans in their early recovery. So their recovery plan may include improving their housing situation, improving their relationships, repairing some of the legal issues or criminal justice issues that have been a result of their addiction. And so a person with lived experience is often called a recovery coach or a recovery support specialist. And they work, they're trained. They receive training and certification. Many states across the country have these, now have certification levels for peer recovery support. And it's a field that we believe is going to not only help people maintain the gains that they make in treatment, but also be that bridge from treatment to the community. So often people may have repeat treatment or need higher levels of care because they don't have that support in the community. Recovery coaches and recovery support specialists can also help the treatment system reduce their no-show rate and help people stay engaged by connecting them early on with peers in the recovery community. Andrew: Now, you moved from Friends of Recovery Vermont to a Deputy Directorship of a SAMHSA program. The program's acronym is B-R-S-S-T-A-C-S, which stands for Bringing Recovery Support to Scale Technical Assistance Centers Strategy initiative. Patty: Well, it's an amazing initiative that stands under their recovery support initiative. They established a technical assistance center for helping recovery supported initiative across the country. So, it's not just for recovery community organization, it's for state agencies, single state authorities, the behavioral health authorities in every state have access to these training and technical assistance and it also has been the outcome has been there have been a number of products, like the core competencies of pure workers. So looking at what are the standards and core competencies of what pure work is. But they've also looked at state initiatives like policy academies. They're looking at giving folks key people at every level of the state that addresses addiction and mental health. And creating new policies or practices and programs that are beneficial to the recovery community. Andrew: When was your involvement on the board level at Faces and Voices of Recovery? Patty: Let's see, I was on the board for six years before I became the Executive Director, so that'd be about 2009 I guess. And I was first involved with Faces and Voices around 2003. That's when I started at Friends of Recovery Vermont, because we were involved with Faces and Voices advocacy activities. Like, beginning to deliver the message training. Our stories have power. We had people who were trained in that in Vermont, and we also participated in a group of us from Vermont in a summit held by Faces and Voices of Recovery in 2005. So we started to get engaged and really just totally I guess I fell in love with concept of being a recovery advocate in being able to step out of the shadows and become public about recovery. And that's the mission of the recovery community organizations and really t that we can no longer be silent on issues that affect us and our families. Andrew: You've been instrumental in the development of two particularly important issues. One is the National Accreditation for Recovery Community Organizations and the second is the Development of Peer Support Standards. When was that involvement in your career and more importantly, how do people get information on these things? 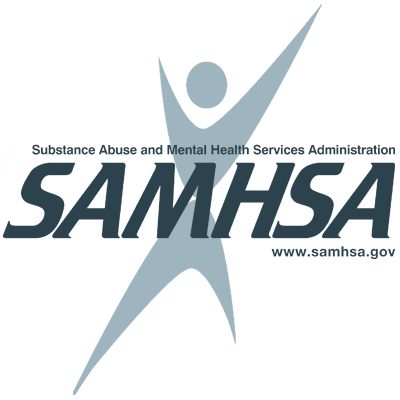 >> The development of accreditation standards started about five years ago with Faces and Voices of Recovery in partnership with SAMHSA. Face and Voices was tasked with convening the key leaders from across the country that were delivering pure services and so how those organizations were meeting standards. So there is a difference between the standards and the competencies for an individual practice or individual role than the standards of an organization that's delivering those services. So we decided to pursue heavily the accreditation of organizations as a priority. Because, in this changing field, there's a great need to have these organizations recognized as a key component in the system of care. And so looking at the standards for those organizations, which were created under certain domains, they included things like governance, physical management, human resource practices, training of staff and volunteers, and peer to peer supervision training. And they reflected really the best practices of what we saw happening in this growing recovery organization movement. So Faces and Voices started a Social enterprise called CAPRSS, Counsel on Accreditation of Peer Recovery Support Services. And you can find that online at CAPRSS.org. It's very comprehensive and we now have a number of organizations that are accredited for the peer services that they deliver. And it's growing, there's been great demand. We actually have some states that are interested in statewide accreditation of the peer services that are delivered in their state. And a lot of interest from managed care organizations and treatment providers that are also provided pure recovery support services. Andrew: And will they become accredited what benefits are received by the organizations? Patty: Well, I think most importantly is the continuous quality improvement process. Ultimately, we're all about is benefiting the person that's receiving the services so and the families that care about them. So if somebody is receiving peer services, we want to know that those services are of quality and effective services. So that's where the ultimate benefit is. Is assuring that to the field that these practices are in place and that they're following these best practices. But as a community of organization they also become part of a learning community. So there are regularly able to benefit from some of the technical assistance to improve their practices and also it's really a stamp of approval on it's In the field. Andrew: I would like to read the mission statement of Faces and Voices if that would be all right with you. 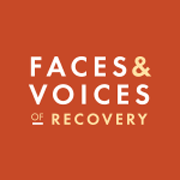 Andrew: Faces and Voices of Recovery is dedicated to organizing and mobilizing the over 23 million Americans in recovery from addiction to alcohol and other drugs, our families, friends and allies, into recovery community organizations and networks. 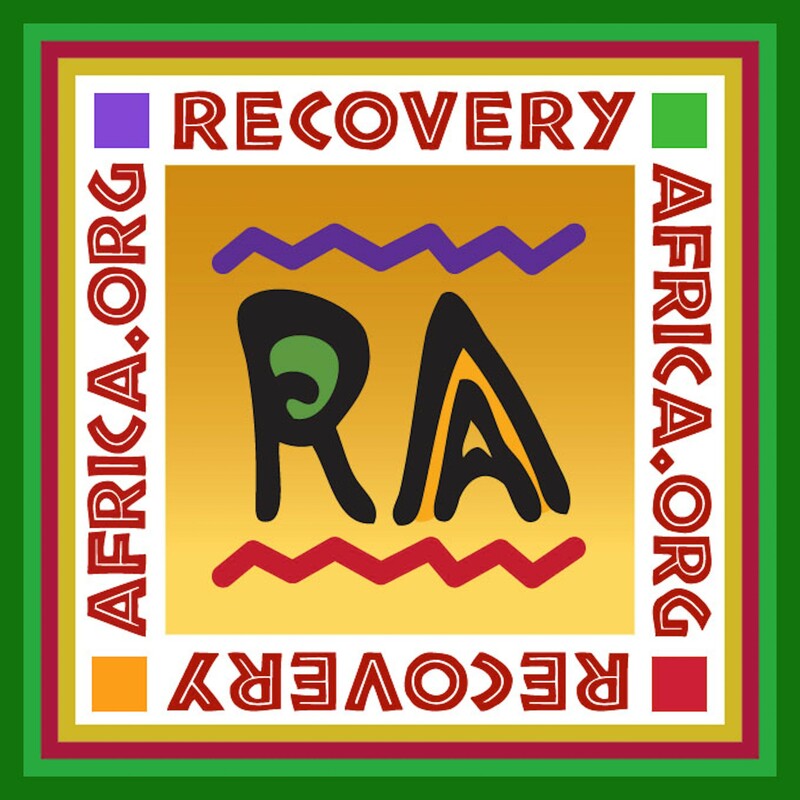 To promote the right and resources to recover through advocacy, education, and demonstrating the power and prove of long time recovery. That is a powerful mission statement particularly because there is such a stigma around addiction not only within communities, but also within government agencies. So, what efforts are being made to address that stigma? Patty: Now we've developed campaigns over the years like the message turning are stories to empower which really helps people to tell their stories and be a face and a voice on recovery. And that's all about eliminating the stigma. It helps to see that people can and do recover, and they're living lives in long term recovery. So, that's one of our campaign, our recovery story and promoting that. We have an everyday recovery social media campaign. We also work with the media to look at the language that's used and how addiction is portrayed in the media. We have a new resource on the language of recovery. Trying to get away from words like addict, instead we put person to person language and say a person with an addiction. We try to eliminate many of the misconceptions that people have about people in recovery. And our survey in 2001 that was done by the Peter Heart Associate, they found that most people in the community do somebody that was struggling with an addiction. But they also believed that the word recovery meant that they were still struggling. And so, we really needed to do a lot of work to demonstrate that recovery meant that they were living live in recovery that they were doing well. And improving their health and wellness and getting involved with their communities. Andrew: Do you find that message is better received on a local community basis or on a statewide basis, or a national basis? Where do you gain the most traction? Patty: Well, I think all of those are very important. I mean, so that's why we developed ARCO, the Association of Recovery Community Organizations at Faces and Voices. We have over 100 member organizations in the association that are either in a local community or represent the state that they're from. So, they're spread across the country and even internationally now we have members. And so, the work that we do is to provide the support and resources to those organizations with tool kits. Things like holding a community listening forum about an issue in their community and engaging the recovery community and avoid that they can participate in the issues and the trends in their own communities so they could have a voice in things. Like if a state is going to close a treatment center or restrict housing for people in recovery. If those kind of policies and changes are taking place, we want people to be ready and prepared to be recovery advocates. We have a recovery ambassador training that helps people learn how to be effective on that level. Whether they're on state committees or they're sharing their story with the local news. It takes all different levels. What we're doing on the national level is really looking at policies in congress right now and primarily around funding. We have an opioid crisis at this point that is we're losing 129 individuals every day in this country. That's over 40,000 people dying of opioid addiction and overdoses and it is a national crisis and it needs to be addressed. So, our work has been on working with Congress to make sure that the legislation is supportive of people in recovery and helping families to get the treatment that they need for their loved ones. Andrew: I'm very curious about this work in the policy arena. How difficult is it to work on the hill with politicians that may not have the same agenda as Faces and Voices? You really have to lobby them I would imagine. Patty: Well we focus on education so what we're doing is giving them the information about what they don't know. And I do believe that they've come a long way in what they know. This year has been tremendous. I mean we bring people to share their stories. We invite them to our events and our meetings and all of our members across the country are inviting their politicians when they're home to come to their community organizations and their events. They're really learning first hand, and that is then the biggest change over time, is that now these organizations across the country are really doing the work of sitting down with their members of Congress and telling them about the devastation in their own communities and what is needed. I think that's going to play into any legislation that they're considering. They have this firsthand experience with sitting in a recovery center and talking with people about what their life was like and now what it's like now that they have receive treatment and are living a life in recovery. So, again we also educate by producing documents about the statistics and the types of services that are out there. All things that Congress wasn't aware of a number of years ago. And so, that has made a tremendous difference just in recently with the passage of the Comprehensive Addiction and Recovery Act in 2016 which is now a law signed by the President on July the 13th I believe. But the problem now is that they just do not put any funding behind it. So, we're still doing a lot of work talking to Congress about here's the current needs, here's what has been funded. It's information that they're speaking from us now. Which is very different than it was a number of years ago when they didn't know that there were organizations like this that were committed and passionate about helping people in recovery. Andrew: Many of us in the field of treating individuals affected with addiction, and many of us when we recover, we want to help, we want to do something, we want to get active in some way. 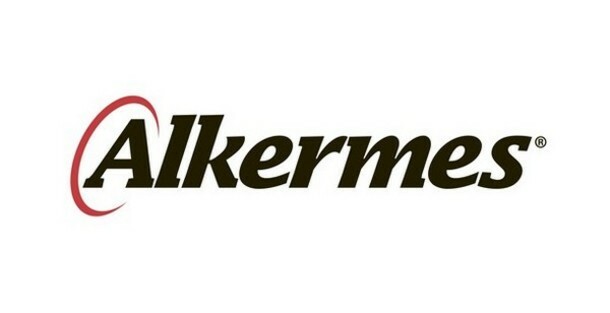 Is that energy better placed inside of a larger organization? Or is it better placed in bootstrap effort in our local communities. Patty: I think it's both. I think it's not one or the other. You can't really do one without the other because like again, the organizations that are on the ground in the community do need allot of support. People can contribute their time talents and treasures by joining an organization and helping them whether it be treatment providers that have special skills that they can contribute or management or perspective or contributing. There's just basic experience with working in this field. But also as recruiting family members who are clients, I think what I would love to see is that every treatment center gives people the information about the local recovery community as not just the mutual aid group but what is happening with the organized recovery community and that's could be another way people can get involved. So my hope is that treatment facilities, treatment providers, will contact us and get our information and put it on their discharge materials and their website about how folks can stay involved or get involved with recovery advocacy. There are many alumni programs around the country, people who may want to share their stories about how treatment helped them. Or, what the barriers were to getting treatment. And we have the same thing for the family members. So I would say if you want to get involved, sign up for our e-newsletters because you'll find out what's going on at the national level. But also to take a look at what is near you in your community and your state that you can get involved with because these advocacy organizations are really going to be there for the causes that are important for the treatment community as well, in any state. Andrew: I think the individuals can certainly participate in writing their congressman, writing their senator in support of some of these bills that are being authored. I would imagine that will be a tremendous help. Patty: Absolutely and there's always calls to action that are sent out when there's something that we know could engage people. The congress wants to hear from their own constituents. So anybody from any state really should know who their congressmen are. And have a connection with them. Let them know that they're there. Especially when there's something that's pressing, like right now. The funding for the Terra bill is- it was included in a small amount of the funding, kind of a stopgap for $37 million was included in the omnibus. Continuing the resolution and so when if that passes it will be kind of a kick-start to get some of the initiatives started with the Comprehensive Addiction and Recovery Act. So I know that when that was being discussed there were people. Once they're informed that this is the stage of the process that we're in, they started to call their Congressmen. But all along, no matter what the issue is, whether it's good Samaritan laws, the availability of naloxone, the right to vote, any practices that may be discriminatory or barriers to recovery, those are issues that people really should be writing letters to the editor or letters to the congressmen. Andrew: So then I would imagine that Faces and Voices would be the ideal informational resource for someone to learn about these issues that they should be writing their congressman and senators about. Patty: Absolutely, that is what we're all about. Dedicated to organizing and localizing all of our allies. And when we talk about who is the recovery community, we define it as people in recovery from addiction, their families, friends, and allies. And so the allies are all of you in the treatment services, the prevention services, the law enforcement, public officials. We consider you our allies until we want really to mobilize around this. The most pressing public health issue of our time is addiction. And so the more voices we can bring into the fold, the better. And I would certainly encourage everybody to come on to our website and sign up for our e-newsletter. It's very easy to do and we've love to hear from you. If you have any ideas about what we can do in your community. If we haven't been to your state or we don't have a recovery community organization in your state, let us know we'll be happy to work with you. Andrew: And can we speak about some of the policies that are on the horizon, that really going to make a significant impact in helping people find recovery? Patty: Well, I think we need to keep a close eye on the Affordable Care Act and Health Care Reform, I think that we have done this. What it has done has opened up access to treatment and healthcare services for millions of Americans. And so this is critical that treatment is extended and that people are able to access that because of the health insurance. So that's one thing that we want to keep an eye on. We also know that the Mental Health Addition and Parity Act that was passed in 2008 but we want to pay closer attention to how that's been implemented in different states. Whether or not that's been effective, whether there's still barriers, whether insurance is still covering addiction and mental health services at the level that it should be and so those are some policy issues that we should be paying attention to. Andrew: I have to speak from my own experience here. Now, I'm located in California, and California has a fairly liberal healthcare system. And there's quite a few resources available to individuals that are suffering from addiction here. However, from a business owner’s perspective, an agency perspective, it is so complicated to figure out how to get reimbursed for services. Are there efforts being made along those line, help a local, a community agency try to navigate that ocean of paper work to try to get reimbursement so that they can at the end of the day deliver the services that they've designed the agency that delivering to begin with. Patty: Yeah, I have to say, the work that the treatment agencies are doing is incredible and the best practices of treatment that are being used. And not only that the new initiative in helping people through an organized recovery, like community housing, transitional housing, all of the things and specialized treatment for women and children, the new specialty treat care that is really found to be really helpful. So I wish I knew the answer to making it easier for reimbursement. But everybody is struggling with. I think there are certainly some initiatives from SAMHSA that help agencies definitely there are in CSAT some initiatives that help folks especially I know if they started a few years ago. To help people look at how to manage the reimbursement processes. And I guess that's something that I don't have expertise in because I work with recovery community organizations that has not had to read bill for insurance. But I think that that day and that's going to be coming and the contracts are not always the way to go. So they may be working through reimbursement strategies at some point. Andrew: Well thank you for some of that insight. Patty McCarthy Metcalf, Executive Director at Faces and Voices of Recovery. I sure appreciate your time today and filling us in on what's happening at Faces and Voices. And also, with your career path. Please keep up this excellent work that you conduct. We need people like you. Patty: Thank you so much, Andrew. That was great. I really enjoyed talking with you today.